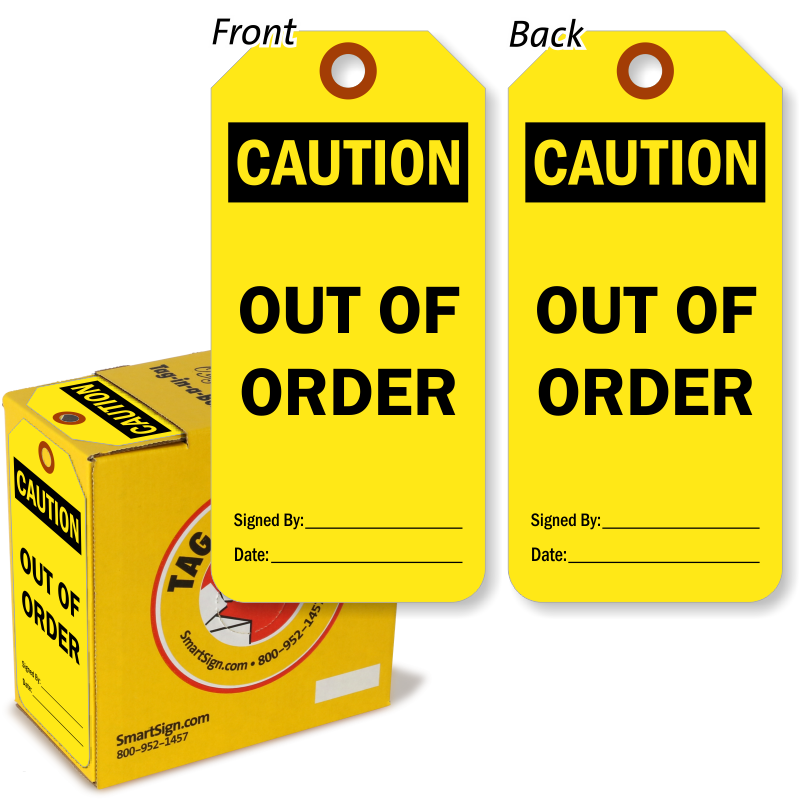 Fluorescent Yellow Out of Order tag gets noticed! 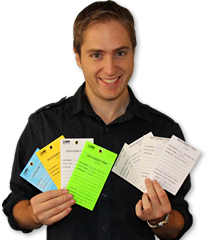 Fluorescent tags are seen 75% sooner than standard tags. 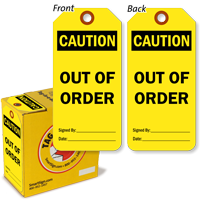 Make your out-of-order items get noticed with this attention-grabbing tag. 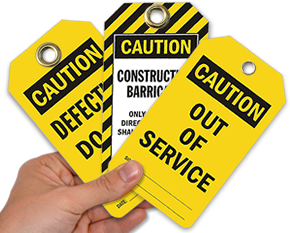 • CAUTION Tags are printed on a fluorescent cardstock and include a fiber reinforced patch for extra strength. They are very durable indoors. For outside use, order the optional vinyl tag holders.